When we are designing a landscape for the bare lot surrounding your new home, we think of it as an adventure in creativity. Perhaps your property needs only a few small, easily doable projects to make it more attractive. 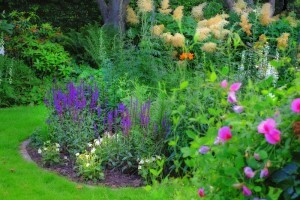 Or perhaps you have dreams of a garden oasis. Either way, we feel it’s important to consider how each change will relate to the big picture. When we design and install a landscape starting at square one, we always will tell our customers that a master plan is the key to any successful landscape project. A master plan is more than a drawing or a design — it’s a well-thought-out plan of action that includes the design. Any new landscape project becomes more attainable when you’re willing to accomplish the plan in stages. Many of our customers like us to work and budget on the basis of a three-year plan. You won’t regret spending the time on having us design a master plan for your project. When we’re finished, you’ll have a beautiful and functional landscape to show for your efforts. In the event you want the instant satisfaction of a completed landscape the day you move in, we can absolutely accomplish that for you. From using large established trees in the landscape to installing sod instead of seed to give you that instant WOW factor that will make your new neighbors jealous. After all, we feel that landscaping is a practical yet personal process, and we want the outcome to be as wonderful as you do. 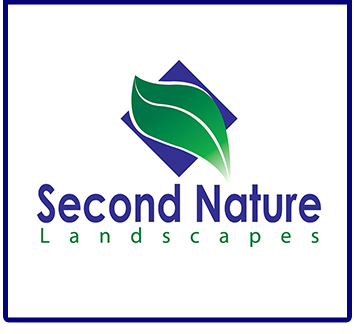 What could be more rewarding than having Second Nature Landscapes design your home’s landscape, transforming your plans into reality, and enjoying the results for years to come? Contact us today or if you are interested in scheduling an appointment to see what we can do for you, then click the link below and request a visit.